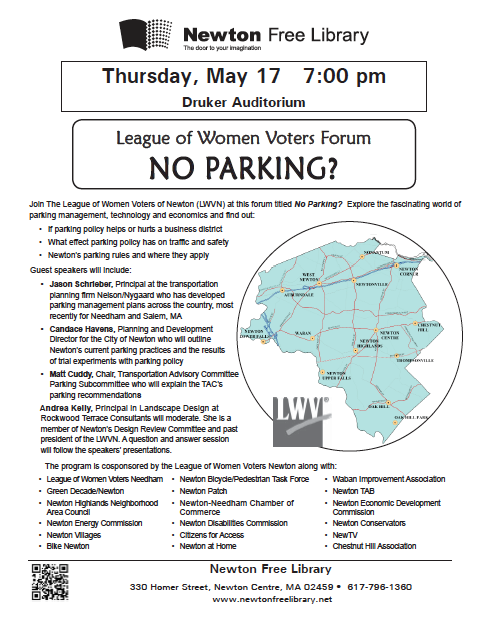 Join the League of Women Voters for a Forum entitled No Parking? to learn about parking management, technology and economics. 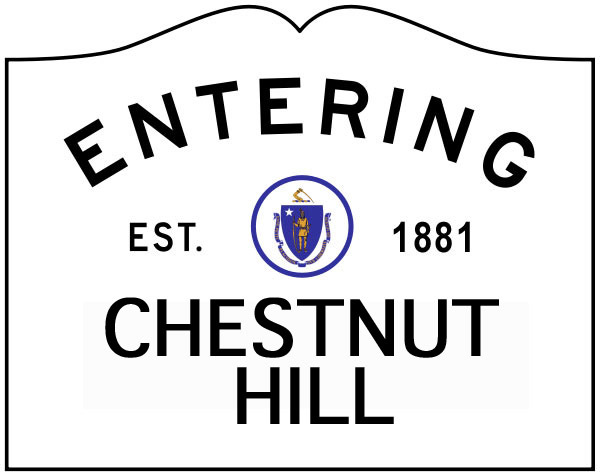 Speakers will include Jason Schrieber, Principal at the transportation planning firm Nelson/Nygaard, Candace Havens, Planning and Development Director for the City of Newton, and Matt Cuddy, Chair, Transportation Advisory Committee Parking Subcommittee. Andrea Kelly, Principal in Landscape Design at Rockwood Terrace Consultants will moderate. Thursday, May 17, at 7:00 in the Druker Auditorium, Newton Free Library.